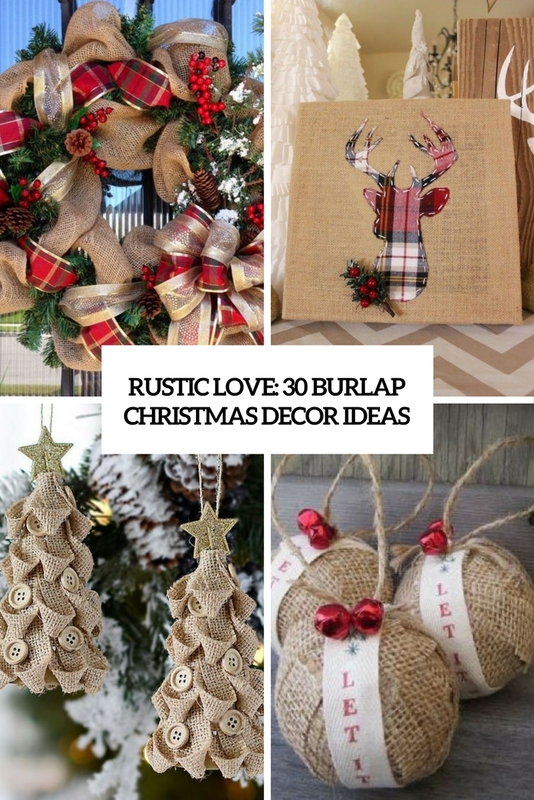 If you like rustic decor and are going to rock it this Christmas, I have a gorgeous idea for you – incorporate burlap into it! 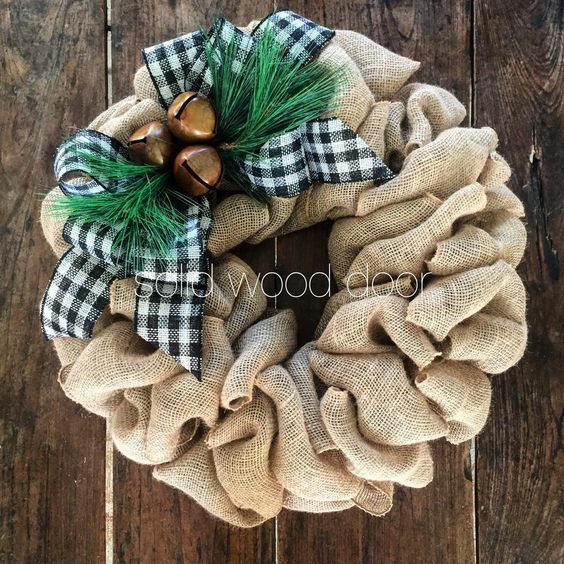 Burlap is truly a rustic fabric, which is very budget-friendly and very easy to work with, so you can make any decorations with it yourself, and the tutorials are pretty easy. 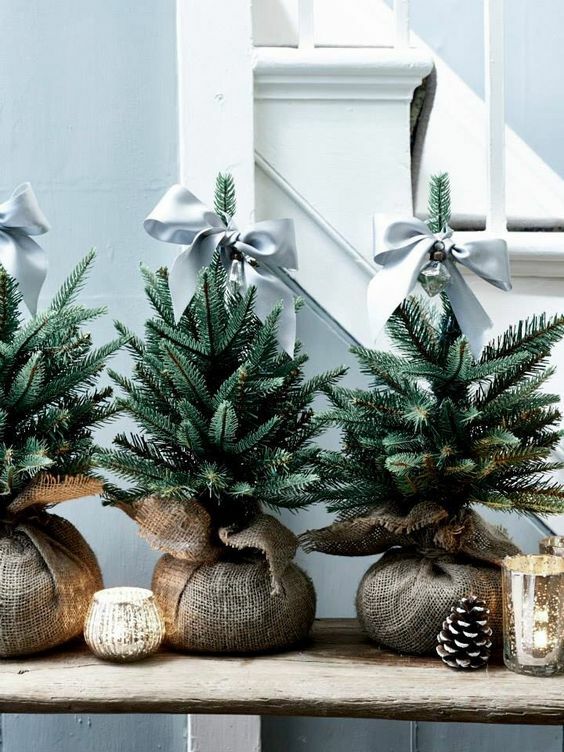 Let’s have a look at some cool ideas you may go for – most of them don’t need any instructions, it’s clear how to make them just hen you look at them! 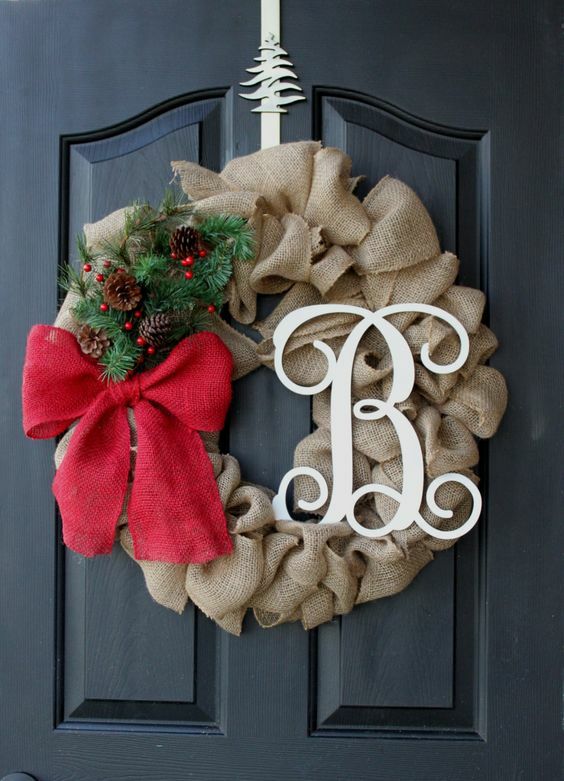 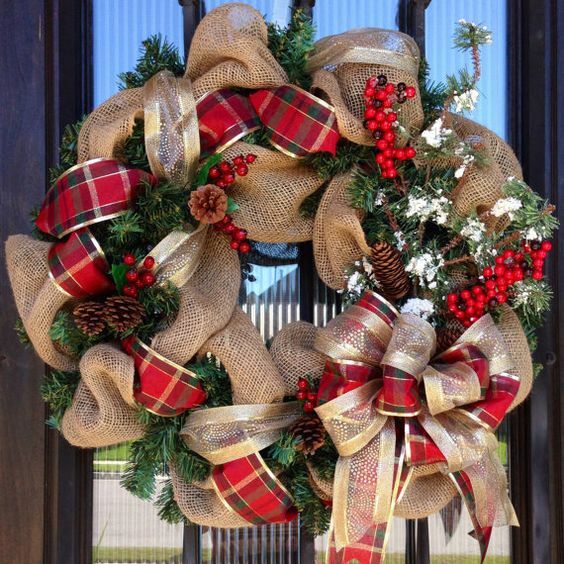 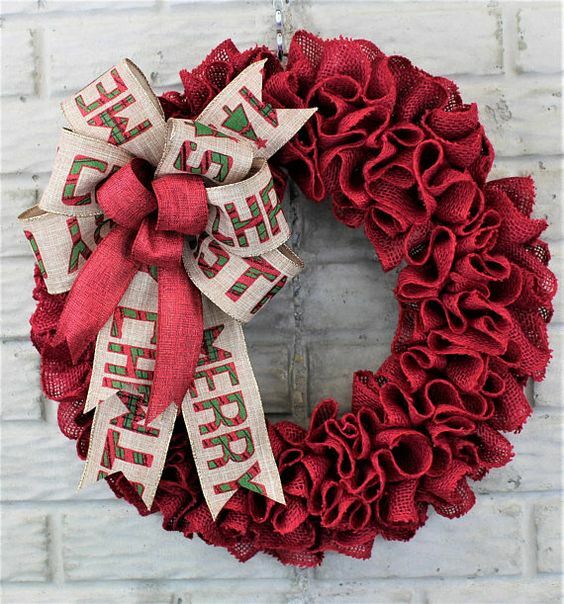 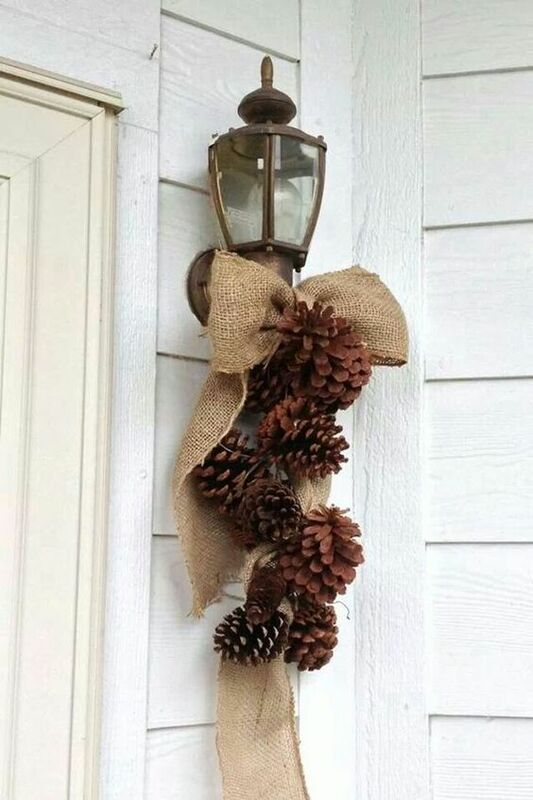 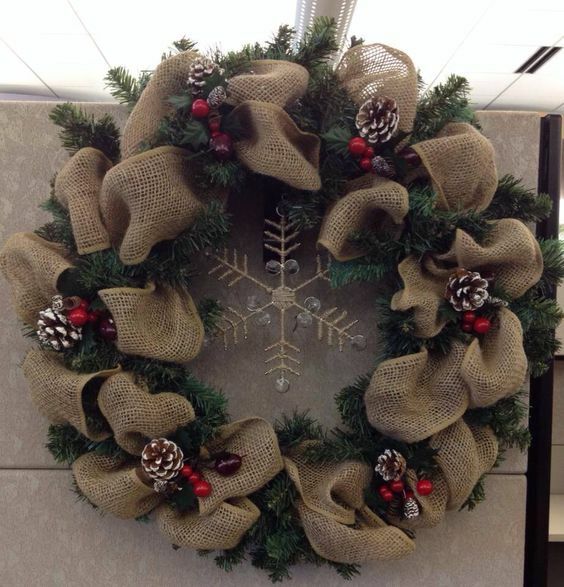 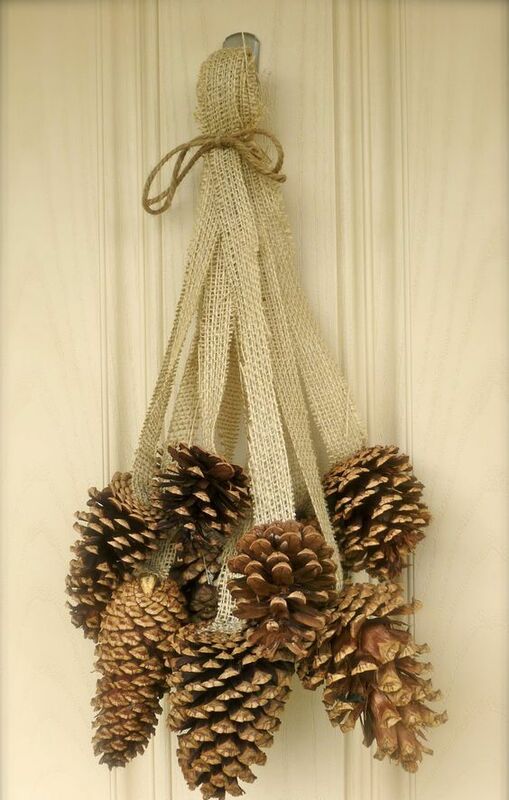 Make some cool burlap wreaths for your front door, windows or staircases – burlap can be traditional or colorful, you may add pinecones, wood slices, bows, bells, ornaments and faux berries and monograms. 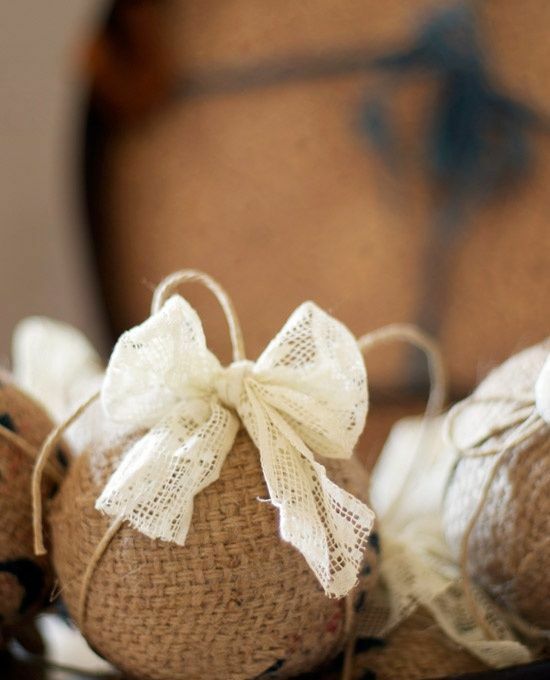 Burlap looks cool with most of decor ideas you can create a whole bunch of combos and looks, and it brings that cozy rustic feel that we all love. 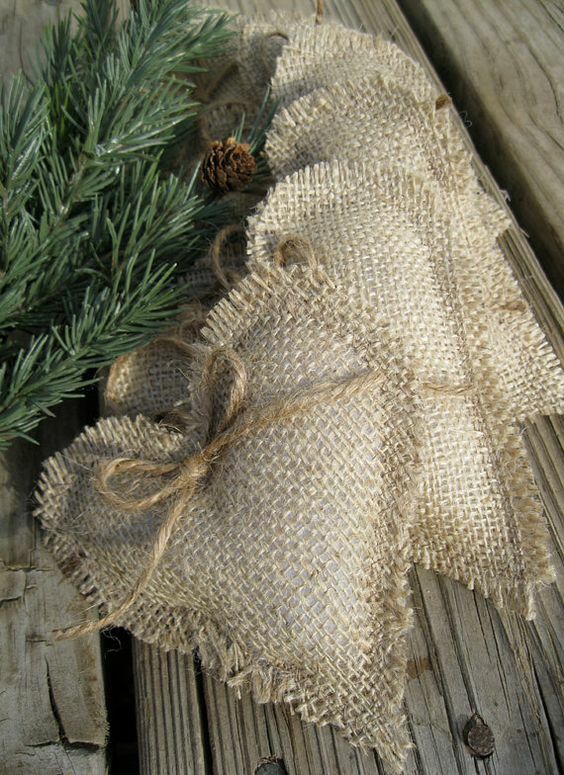 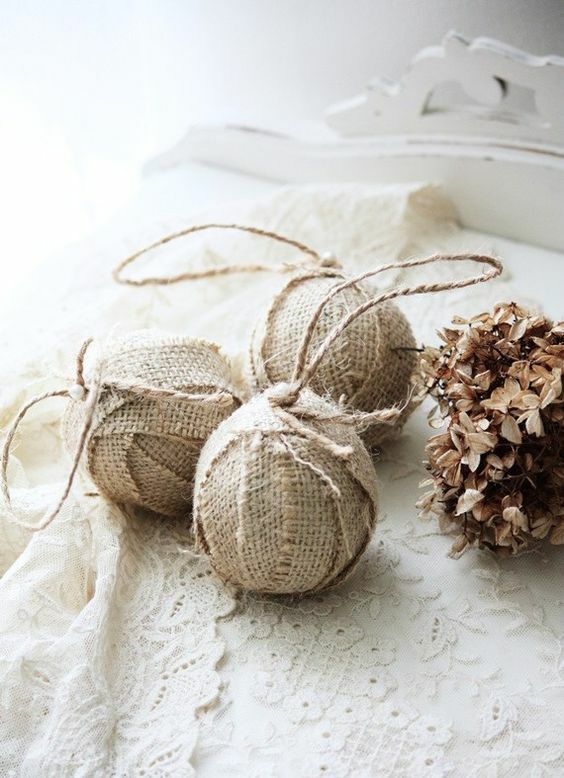 There’s a whole plenty of burlap ornaments to make – from usual baubles to hearts and stars. 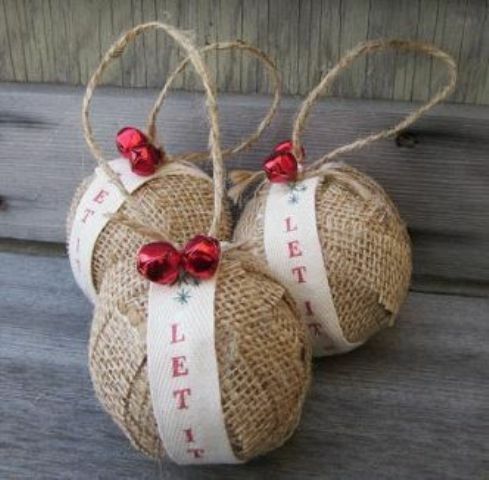 You can easily make some ornaments using Styrofoam balls and burlap – just wrap them and secure the burlap on the balls. 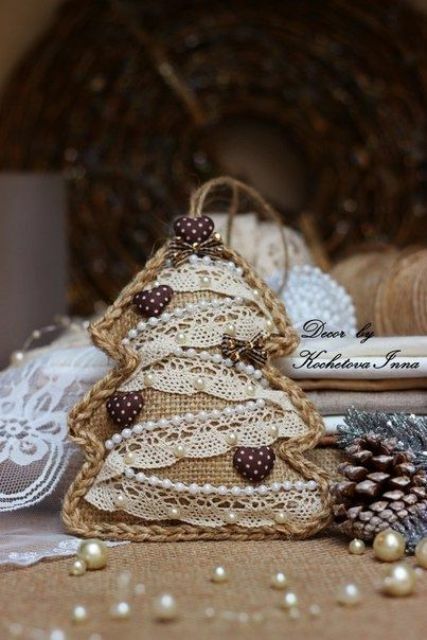 If you feel like sewing, sew some cute ornaments in various shapes – from trees to squirrels and decorate them with beads, pearls, sequins, lace and other stuff you like. 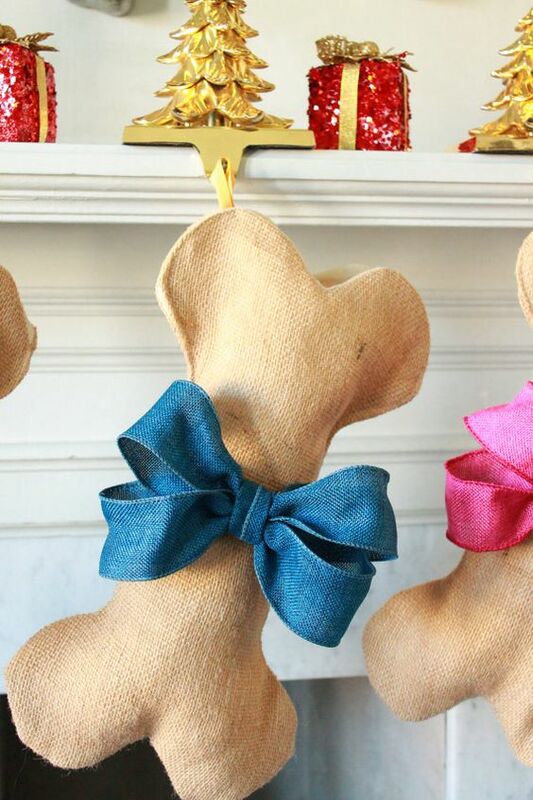 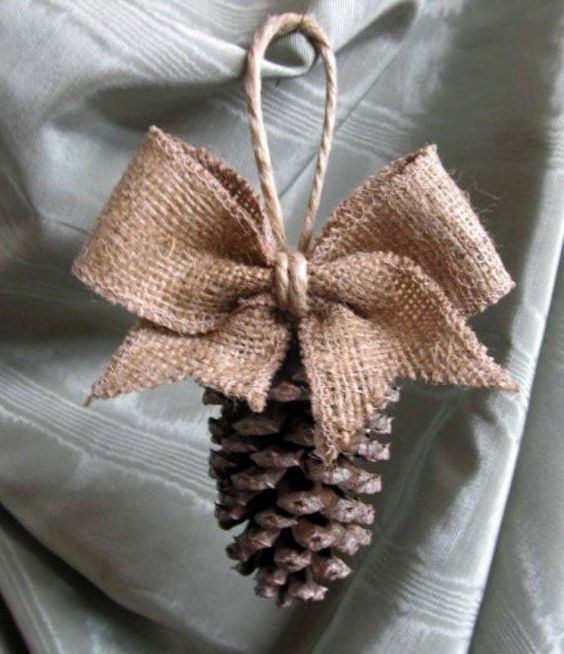 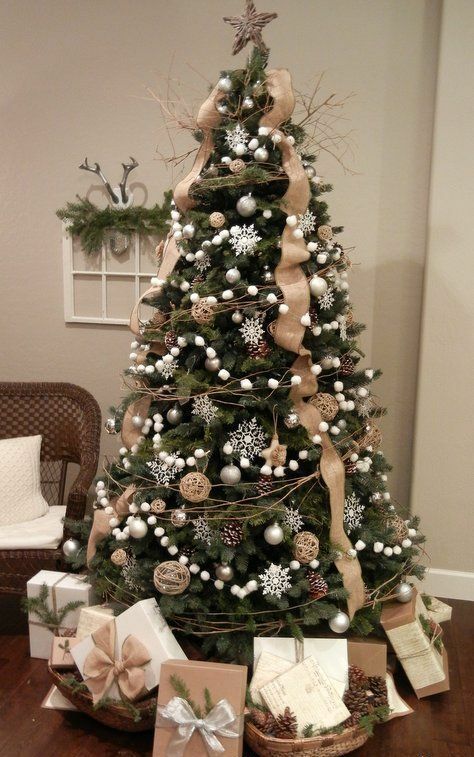 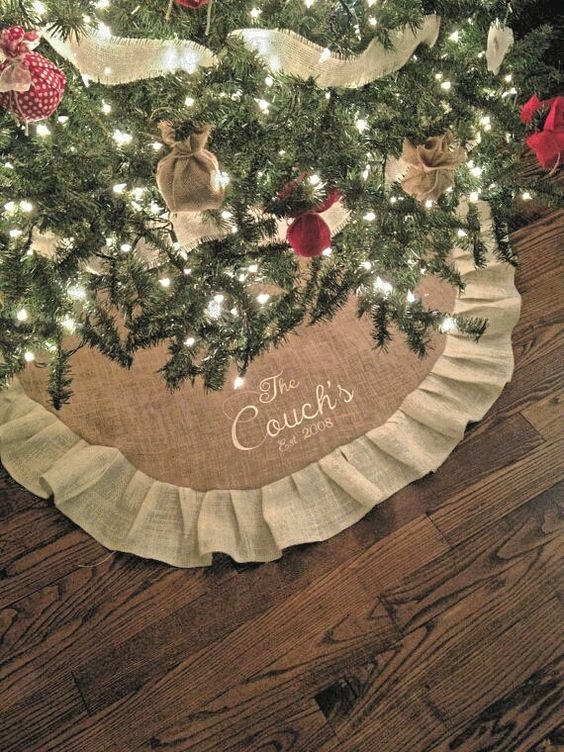 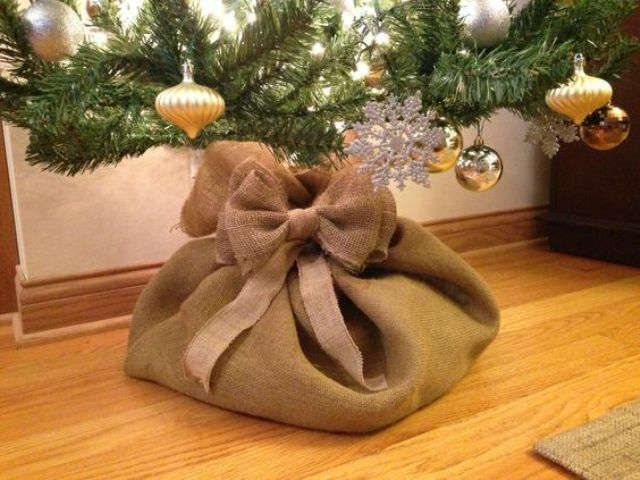 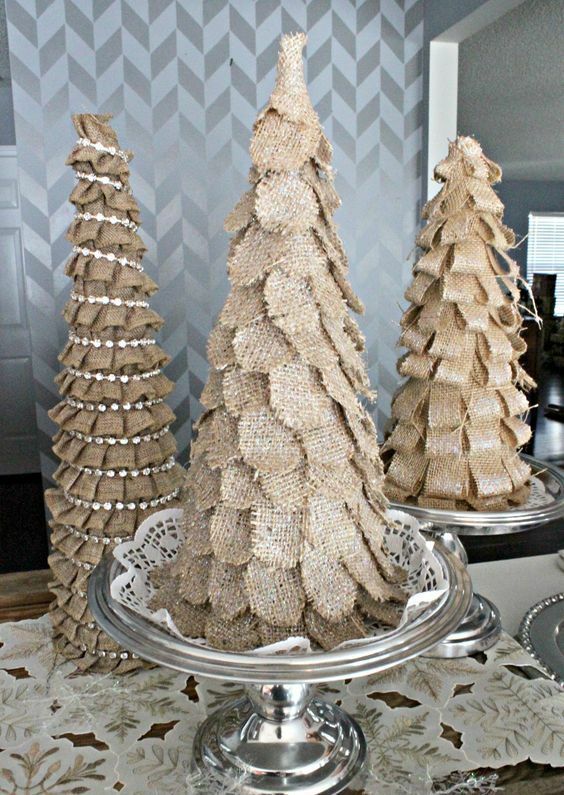 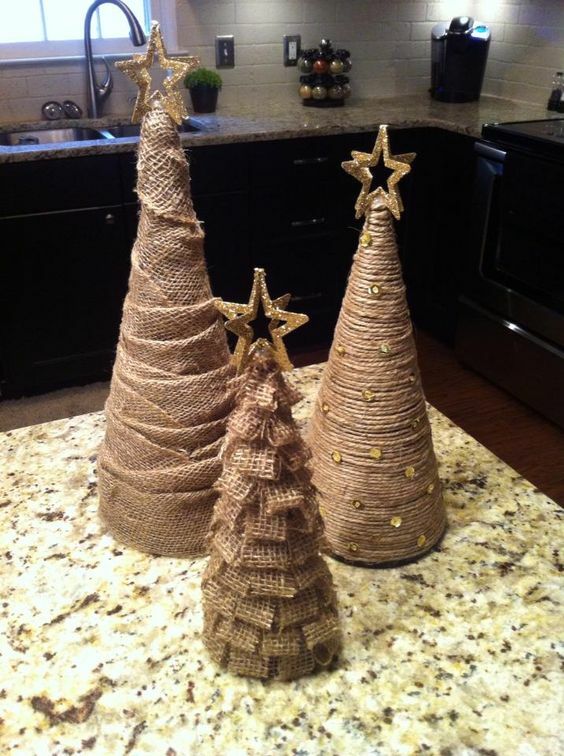 Use burlap garlands on the tree and don’t forget to cover the tree base with burlap, too. 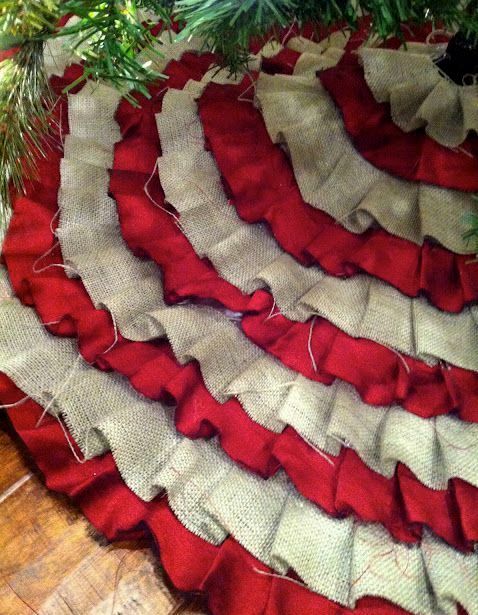 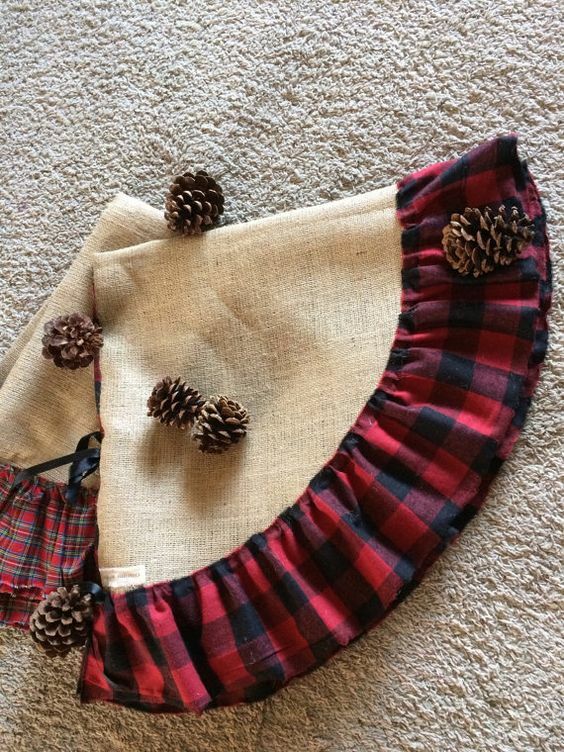 You may also make a burlap tree skirt – a pleated or a usual one, mix it with lace or faux fur. 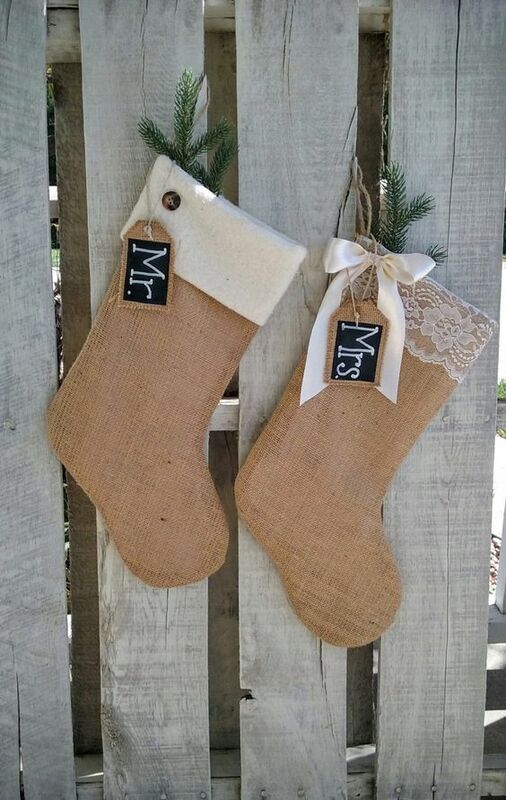 Burlap can be used in various ways – from garlands and buntings to signs and trees. 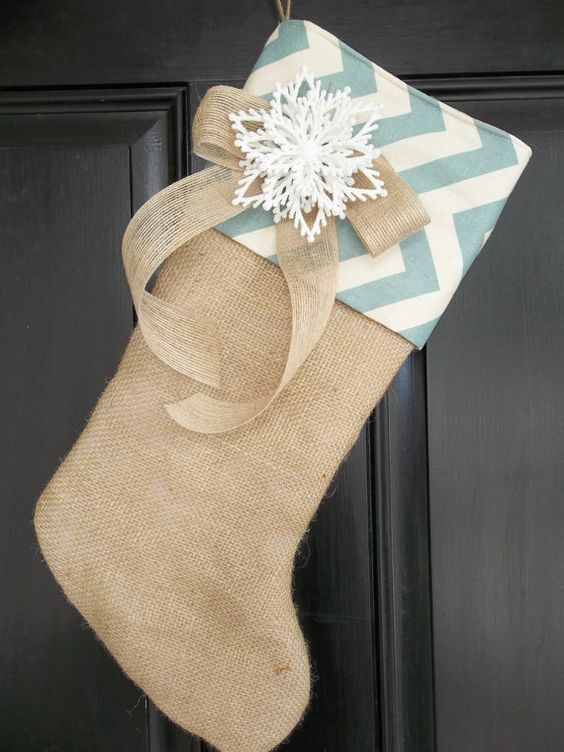 Make burlap stockings with lace and faux fur, make whimsy-shaped burlap stockings, try various burlap signs with and without lights, and tabletop burlap trees with pearls and beads. 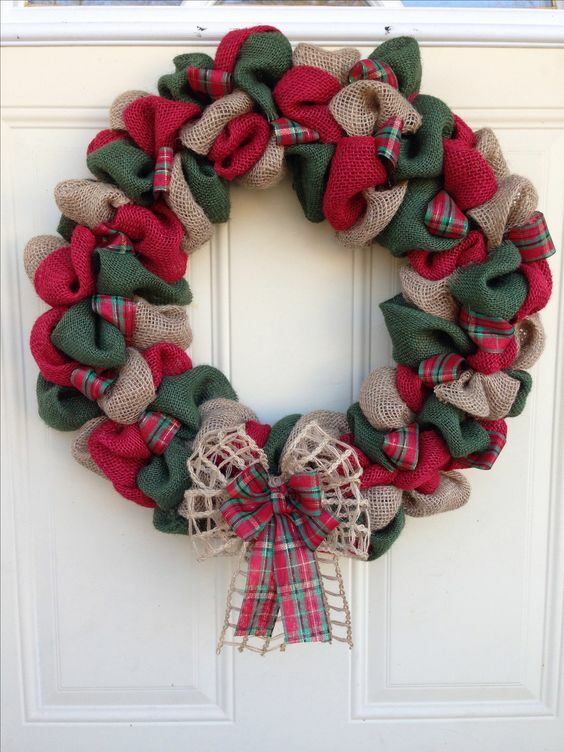 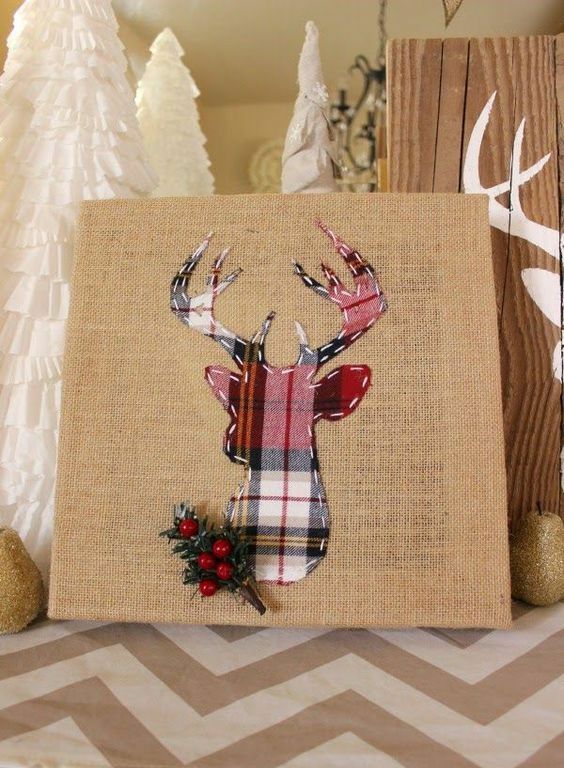 Feel free to look for various tutorials on the web and realize what you like to make your Christmas cozy and rustic.